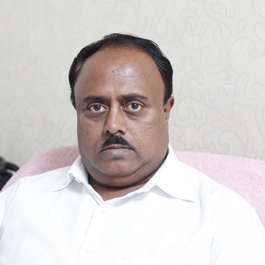 A veteran of various walks of the business arena, Mr. Kumar brings a sizeable experience of over 25 years to the table. In a career spanning 25 years, Mr. Kumar has demonstrated exceptional insight and professionalism in the face of countless adversities to emerge on top of situations time and again. Having ventured into real estate in 2004 as Unibera Developers (P) Ltd., he has ever since delivered to the absolute contentment of scores of clients across segments as diverse as affordable realty and luxury abodes. Heartened by the multi faceted success that came his way, he has also ventured forth to Healthcare, Agri Foods, Hospitality, Technology, and Lifestyle. Fervent in his views towards serving the societal needs, he has undertaken several initiatives towards the betterment of underprivileged sections of the society which amply demonstrate his motivation for social causes as much as for fiscal gains. Strategic decision making is a key constituent of his armor and a forte which he wields to perfection as is evident from his choice of industries to operate in all of which contribute to the ultimate vision of the group achieving superlative success in delivering the best products and services to patrons. Coalescing multiple strategic arms of the organization under the umbrella brand of “Unibera” is a feat deftly achieved by Mr. Kumar with the vastness of his expertise and multiplicity of his flairs. In the long run, the road charted by Mr. Mrityunjay for his brainchild focuses on acquiring perfection and excellence in all segments of the business arena they are operating in and forging an image of trust and reliance amongst investors and customers alike. 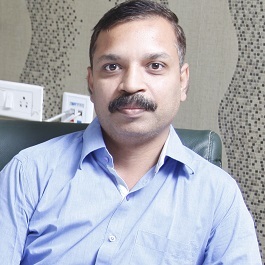 Matching his enthusiasm with meticulous planning and developing astounding strategies, Mr. Mrityunjay lays emphasis on team work and adequate impetus for the team which he supplements with an equally consequential incentive for investors and stake holders to maintain the acquired trust and redefine set standards for quality expectations. 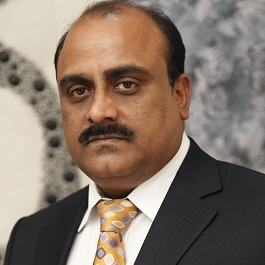 With a rich and diverse experience in the realty space, Mr. Hemant Kumar Singh, a B. Tech (Civil Engineering from Bihar University), is the Group Director of the Company. The ideal individual with the model qualification for the job, he has, over a span of 12 years of experience, overlooked projects in excess of 10, 00, 000 sq. ft. being delivered in the residential segment in Indirapuram, Ghaziabad making him an expert figure in his walk of business. Involved with the group since its very inception, he has significantly contributed to development of projects and their flawless execution. An individual of cavernous character strength, his expertise has facilitated Unibera on numerous occasions with the indispensable foresight and understanding of consumer mindset. Dhananjay Kumar, Director, Unibera Agri Foods is a highly committed and experienced entrepreneur, progressing ahead with some of positive initiatives in Agri sector and promises to deliver Healthy and Quality Products at Unibera Agri Foods. 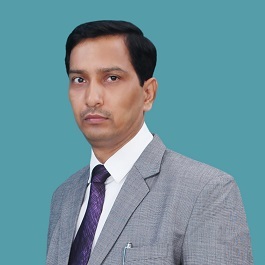 With over 20 years of experience in various sub-sectors of Food Processing and Agribusiness, Mr. Dhananjay as the Business Vertical’s Strategist and Promoter explores every possibility of nurturing a reliable and direct relationship with farmers and has been cultivating natural, nutritious and quality products. Deftly introducing aspiration and imagination into the desires of wannabe house owners is what Mr. Digvijay Chauhan specializes in. Be it commercial or residential projects, he believes in lending flair to the property that inspires aspiration. Morphing projects into structures of desire while also assuring the ideal and alluring return to investors has always been his strong suit and as a director at Unibera, he has been carrying out this undertaking to perfection, all the while assigning due weight to quality and time constraints. With his prowess in the field of project execution, he has been indispensable in making tactical decisions such as locational aspects of the projects, maintenance of rigorous control over processes to ensure a high quality structure and sourcing right talents for the success of the group. A seasoned campaigner of the field and an individual with a keen aptitude for picking up trends, his presence in the organizational ranks lends a credible influence to the group. Always an advocate of team work, his contribution to sustaining a high level of motivation in the organization has been imperative.